Fans and Bollywood celebs across the country were happy with the news. 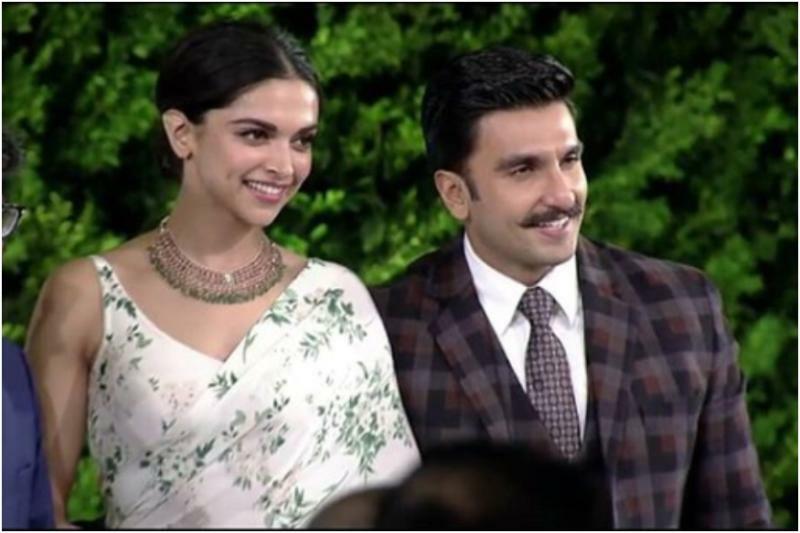 Sunday was full of excitement for fans and Bollywood celebs as the marriage news of Ranveer and Deepika was finally out. Fans across the country were happy with the news. 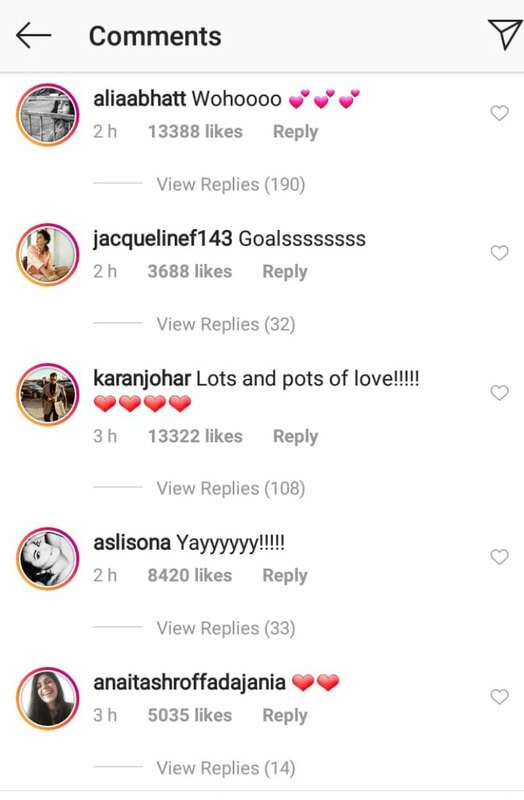 Famous Bollywood celebs like Karan Johar, Priyanka Chopra, Nirmat Kaur, and Divya Dutta congratulated the beautiful couple. couple. No doubt it was a big news for everyone as fans have been waiting for this for years now. Though there were rumours that they would be getting married in November, however many celebs rubbished such news. After this news, the couple won’t be facing any questions regarding marriage which they were usually asked at every press conference. 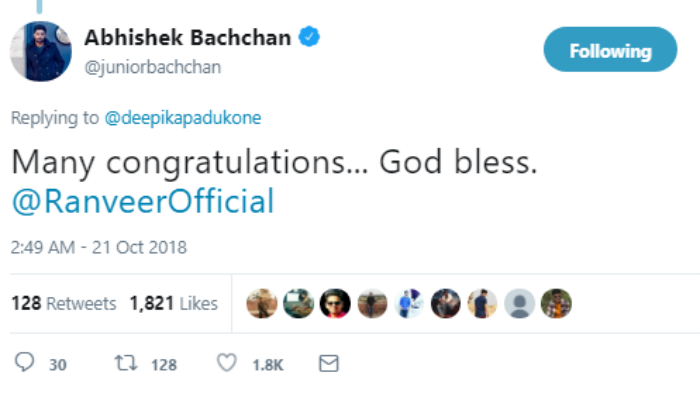 Ranveer and Deepika tweeted: "With the blessings of our families, it gives us immense joy in sharing that our wedding is set to take place on November 14 and 15." 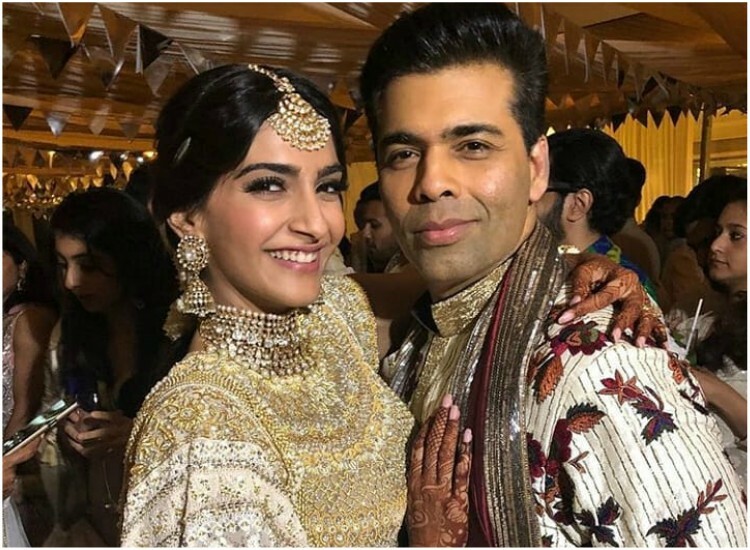 Karan Johar congratulated the couple wrote, 'Lots and pots of love' and Sonam Kapoor also wished them and wrote, "Congratulations! And tons of love both of you". 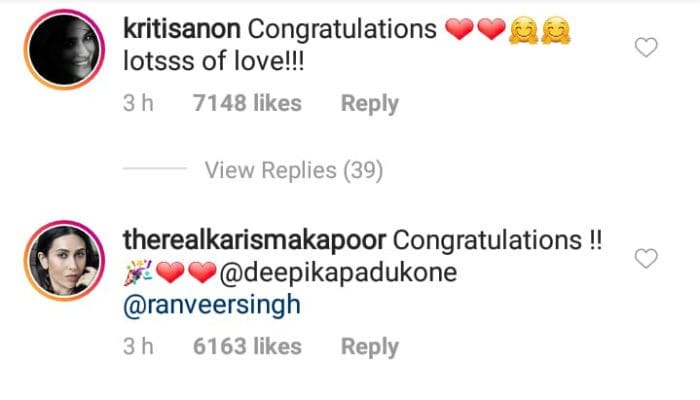 Nimrat Kaur: Thrilled to bits for the unbelievably lovely Deepika Padukone and insanely amazing Ranveer! Wishing one of my absolute all-time favourite on screen couples a blockbuster of a life ahead with nothing but love and more love.